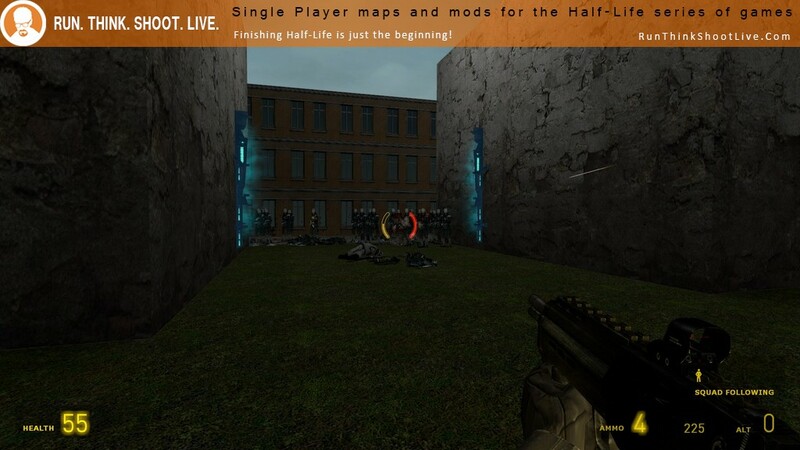 Copy the hl2_combine_stream_improved.bsp file into your …\Steam\SteamApps\common\Half-Life \hl2\maps\ folder. 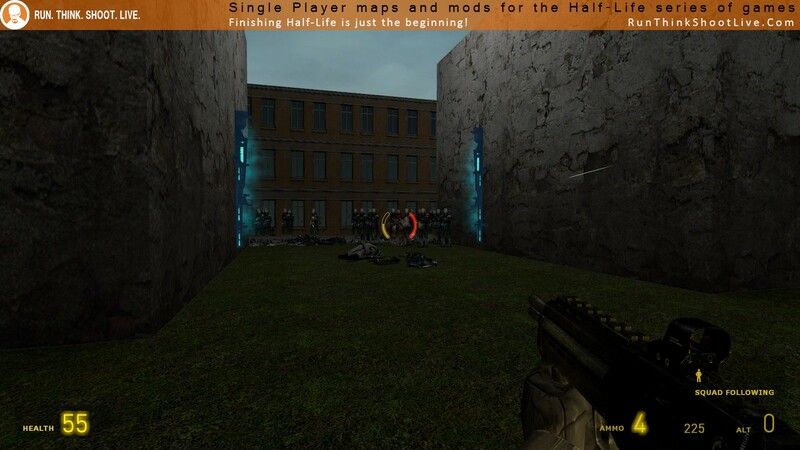 Open the console and type map hl2_combine_stream_improved and press ENTER. Yes, 1 minute. That’s all I played. Adding the mod and writing this review took fifteen times the time to play it. This is one of those maps that a new mapper releases but shouldn’t. There’s nothing worth playing or testing. It’s a learners map. Trust me when I say AVOID IT! and allthough i have respect for anyone who spends the time to create a map you need to ensure its of decent quality …. i started a map around 12 months ago and spent 5 months ( 2 to 3 hrs a day ) .. however i still wouldnt of sent it to PP/ runthinkshootlive ….. however i lost it when my pc had a windows 7 reinstallation …. the “think twice” recommendation was my award … but try spending more time …. with some additional content this could of been much better ! This is an absolute avoid it!! And the only thing i can actually thought when I played this was: what the freakin heck is this?? I mean really, why someone would release to public light something like this. 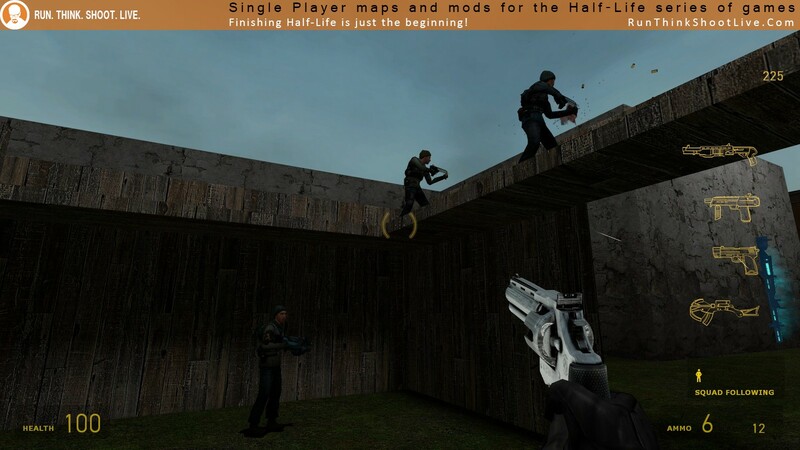 I mean they don’t have G-Mod?? You can actually spawn endless hordes of CMB in there, and I think doing that exactly same thing in Gmod is so much more fun than it was in here!! And I don’t want to sound rude or angry, but I only ask: why here in RTSL??? I mean I truly understand RTSL must have all of the maps available, from good to worse, but I mean no offense with this, but: Are you serious Phillip??? I think it really wouldn’t matter if we skip pretty bad maps like this one man!! maybe RTSL should have a map quality control after just release some low quality map like this. This is one of the worst maps I’ve ever played. I think it’s probably endless, I only played it for two minutes and that was quite enough. The mapping is bad, the gameplay is bad and the only redeeming quality is throwing grenades and watching the bodies fly. This map is awful, don’t play it. Update: yep, I noclipped behind the force field and they just endlessly spawn. 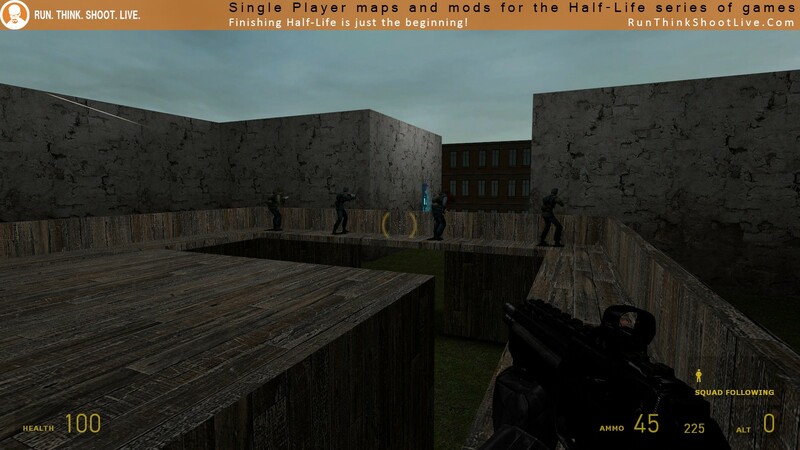 Grenade trowing simulator. Low power computers will surely die from how many cops try to kill you.